In the United States, it is estimated that 1 in every 59 children has been identified with autism spectrum disorder (ASD) according to estimates from CDC's Autism and Developmental Disabilities Monitoring (ADDM) Network. The National Institute of Health describes the autism spectrum disorder (ASD) as a group of complex neurodevelopment disorders characterized by repetitive and characteristic patterns of behavior and difficulties with social communication and interaction. The symptoms are present from early childhood and affect daily functioning. Bridging the Disability Employment Divide for Individuals on the Autism Spectrum. It is estimated that 80% of autistic adults are unemployed or underemployed. The Precisionists, Inc. (TPI) was created to address and improve working opportunities for autistic adults. 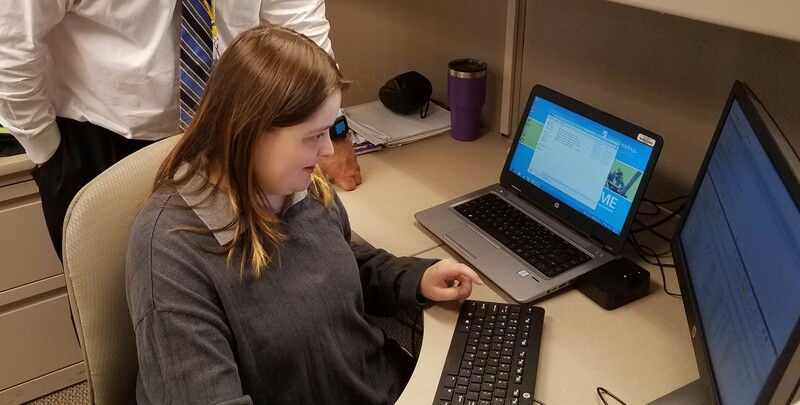 TPI hires individuals on the autism spectrum to work in technology and administrative roles, such as software testing, cyber security data quality assurance, programming, scanning, indexing, data mining, data entry, and light manufacturing. TPI provides a diverse and supportive work environment for our associates as they begin or grow their careers. TPI leadership consulted with Specialisterne USA to develop some components of this innovative model, and both organizations share common objectives and values. Attention to detail, recognizing patterns and precision are all valuable skills for information technology and business operations roles, and these attributes and skills are what the autistic workers bring to the workplace and their project. TPI deploys best practices in preparing autistic adults for employment, as well as delivering world-class support to our corporate partners. We put potential candidates on a journey to become workplace ready. This includes an in-depth three or four-week assessment and training program, which teaches valuable technical skills, along with workplace readiness skills. In addition, we work closely with our client partners to define the project work and deliverables to ensure our associates and teams will be successful. Upon successful completion of the candidate’s training program, they are either assigned to a project that is performed in one of TPI’s Innovation & Technology Centers (ITC), or assigned to a project at one of our client’s sites, working on blended teams. TPI is the proud recipient of the Autism Society of America’s 2018 Adam Heavner Award presented annually to the company who does the most to advance employment for autistic adults.